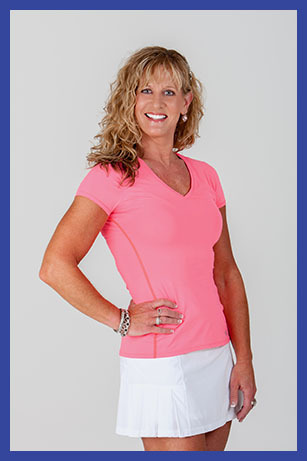 Born into the world of dance by two very talented parents who owned and operated three dance studios in Michigan, Kim has fostered a lifelong love of fitness and dance. In 1986 Kim, along with her daughter Melissa, moved to Florida and married husband Tom who is a local Golf Professional. Because of her extensive background in dance and choreography, Kim loves teaching group exercise classes and has quite a following. While heading the personal training department at Christi’s Fitness, Kim enjoyed training others to become quality instructors too. Personal training became her next passion and she has become a highly motivating, dedicated trainer who strives to guide her clients to successfully reach their goals and beyond.